← Are you a half-man or a half-mouse?! Always leave flowers the morning after. Or at least a note. 6 Responses to Always leave flowers the morning after. Or at least a note. Don’t look at the hole! Move ’em on, head ’em out Rawhide! Cut ’em out, ride ’em in Rawhide. ams wins the internets of the day prize. Have I designated myself as the internets award giver of HM? 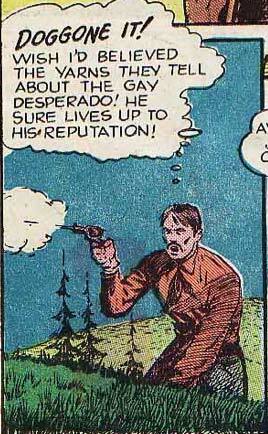 Well when you mess with the Gay Desperado you always get it “in the end”. Is that broke back mountain in the background?